Constructed from 4 layers of Dunlop foams in graduated density for optimum support. Covered in 4-way stretch Carrflex Vapour permeable pressure care material. 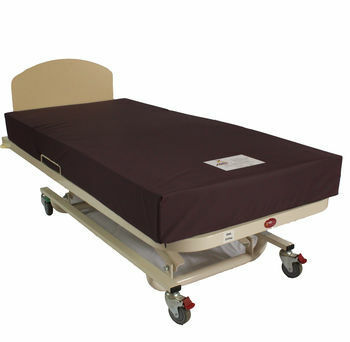 The top layer of foam is plush memory foam for ultimate comfort and pain relief. Firm side bolsters to assist with transfers. Flexible sections for use with profiling beds.